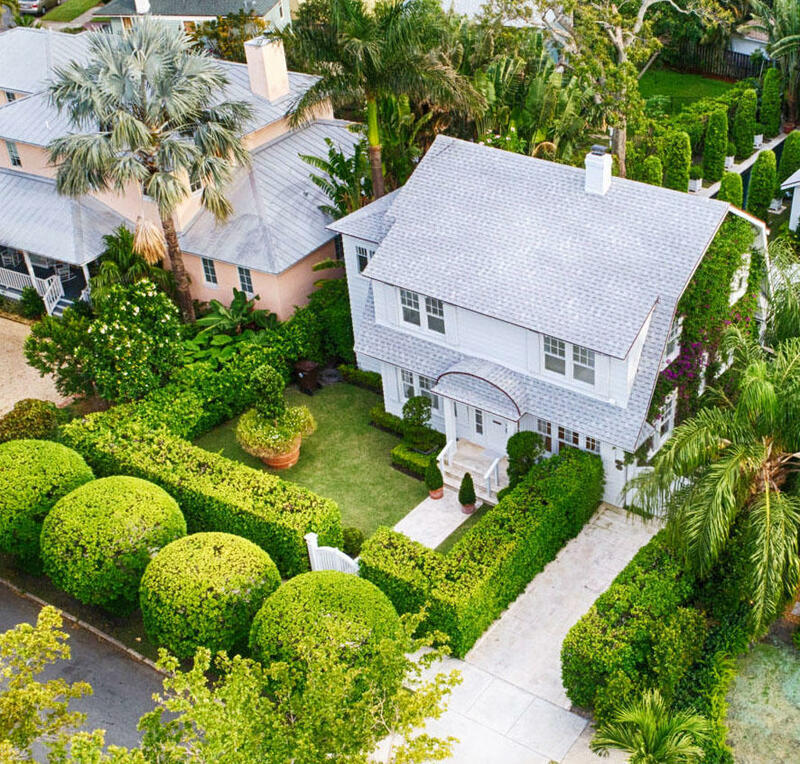 Situated half a block away from the Intracoastal Waterway, this beautiful Dutch Colonial residence in West Palm's historic Prospect Park boasts four bedrooms, two bathrooms, and one half bath. A large mature Ficus Hedge and privacy gates surround the home and bright, open spaces create the perfect place for entertaining. Dramatic, architectural features are present throughout the home, with built-in bookcases and an original fireplace. This unique estate features a charming gourmet kitchen, cozy sun room, and a grand dining room and living room, all overlooking the magnificent lap pool and detached guest house. Step outside into your tranquil backyard. The picturesque pool, open air stone patio and lush landscaping create your own slice of tropical paradise.